Welcome! We are Deb Hill and Don Sanfilippo, owners, breeders, and chief barn cleaners at Cloud Dancer Alpacas in Lewistown, Montana. 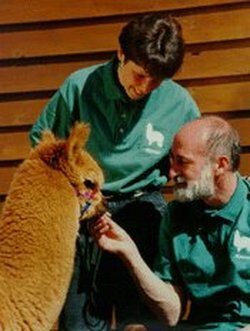 We've been raising alpacas since 1996 and we still just love it! Like many, our alpaca story starts with our search for a business that would allow us to live a country lifestyle with a modest income. One day at our local county fair we discovered a lone alpaca stuck in with the llamas. We had no idea what it was, but we knew we were hooked. A few months later, we were in business and we have not looked back since. Cloud Dancer Alpacas is a full-time working alpaca ranch. 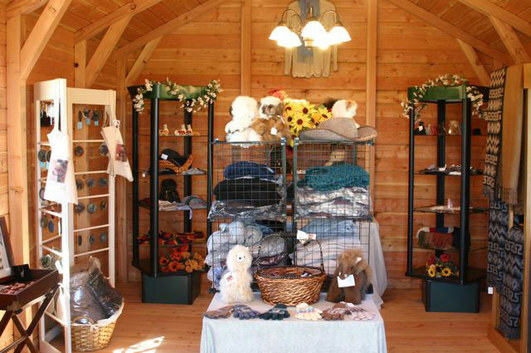 Here you can learn about all aspects of the industry: showing, breeding, and selling alpacas; shearing, working with fiber; and creating and selling homegrown alpaca fiber products. 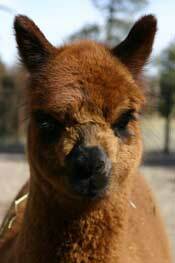 We will gladly share our experiences to help you build a successful alpaca business, too. You are welcome to attend any of our regular public events or our classes for alpaca buyers and owners. Can't visit just yet? Order a free packet of information about raising alpacas, or sign up for our somewhat regular ranch newsletter, chock full of information about the alpaca industry and helpful tips for alpaca breeders. Contact us to arrange a visit or sign up for our newsletter. The alpacas are looking forward to meeting you! Visit an alpaca farm - here's how! Are you ready for alpacas? Take this quiz to find out! Learn how to get started. Order a free copy of "Getting Started in the Alpaca Industry"